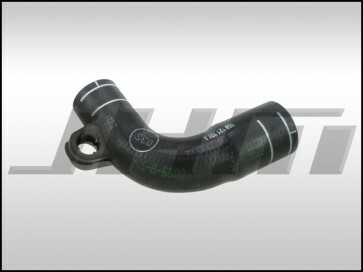 This is a high quality, replacement coolant hose for your B6-A4 with the 1.8T motor. This is coolant hose that attaches to the cooling flange at the back of your motor and goes to the hard coolant pipe that runs across the intake manifold. The OEM part number is 06B121101A or 06B 121 101 A.